18" x 2.5" x 2.5"
This 18-Inch sleeve provides a double wall thickness to accomplish the breakaway function. 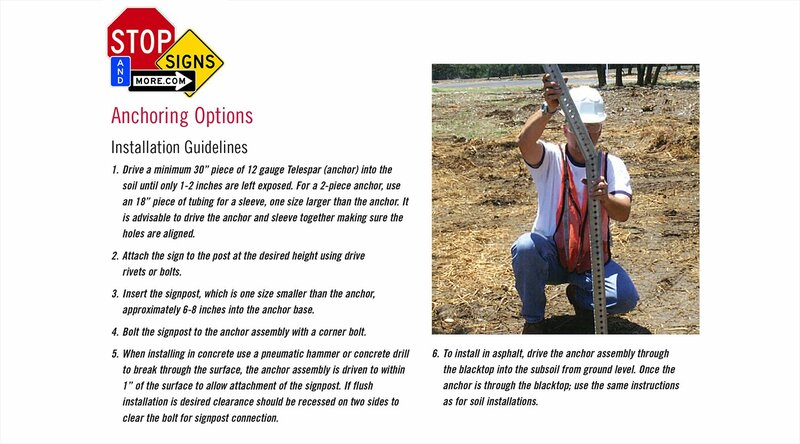 These 18-Inch sleeves are inserted into the ground along with the anchor base until 1-2 Inches are left exposed above the surface. 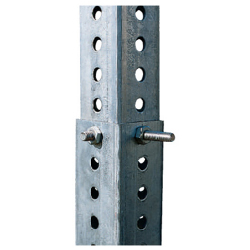 The Square post is then inserted and bolted into the anchor assembly to the desired height. This will yield a highly effective breakaway system. Our Square Signposts are made in the USA, beginning with the coil of steel to the finished product. Our Square Signposts are FHWA NCHRP-350 and Cal Trans approved.